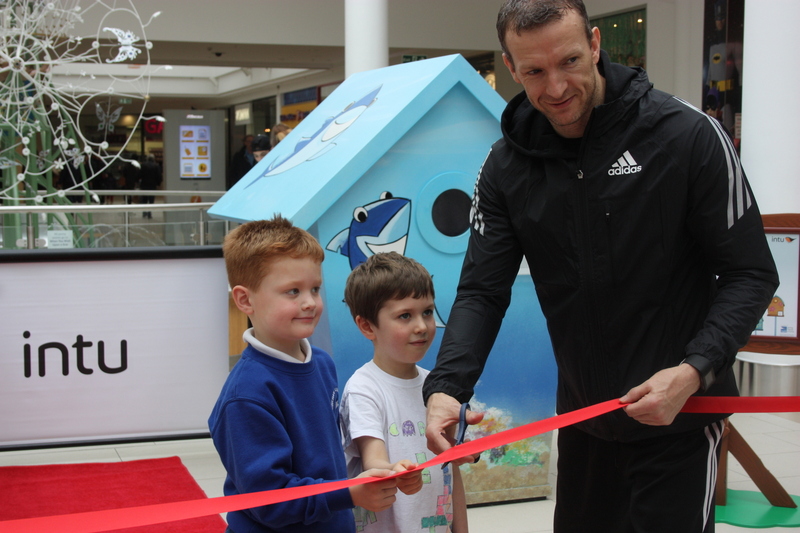 Local Paralympic athlete Richard Whitehead officially opened The Big Birdhouse Tour this week (5 April) with help of two Nottinghamshire school children five-year-old Oscar Rudkin and five-year-old Oscar Bailey. The first national tour created exclusively by intu began in July, touring 15 intu centres, and has now arrived in Nottingham from 28 March to 30 April. intu Victoria Centre and intu Broadmarsh have given nature a home and are exhibiting larger than life birdhouses, each individually and artfully designed by well-known British personalities to raise money for and awareness of the RSPB, Europe’s largest nature conservation charity. Celebrities including Nottingham’s own Paralympic champion Richard Whitehead, Steve Backshall, George Clark, Becky Adlington, Jo Whiley and Vic Reeves have contributed their designs to the fun, interactive and informative tour. To celebrate the launch, Richard gifted the two boys with their own RSPB nest boxes, which are currently available to buy at both centre’s customer service desks for £9.99. The two children were invited to open the tour with Richard after their schools took part in decorating paper birds for the centre’s beautiful bird mobile; Bingham Robert Miles Infant School and Hollygirt School. Both boys paper birds designs are now flying high as part of three giant mobiles hanging at intu Victoria Centre and intu Broadmarsh, created in celebration of the tour. For more information on The Big Birdhouse Tour and how you can get involved, simply visit www.intu.co.uk/birdhouse.